The Lunch Express, a project from the Second Harvest Food Bank of Northeast Tennessee, aims to feed kids and families during summer break in a region where one in four children lives at or below the poverty line. With summer break just around the corner, many low-income parents are worried about feeding their children through the summer months. During the school year, free and reduced school breakfasts and lunches help these families tremendously, but once the summer comes, already strapped-for-cash families can see their food bills double. The strain is extra on families in rural areas who do not live close to Boys & Girls Clubs or schools that offer summer lunch programs. The Second Harvest Food Bank of Northeast Tennessee, which serves some 3,000 square miles across eight counties in the northeastern part of the state, has come up with an innovative way to provide lunch for kids in the country during the summer. The Lunch Express, first developed in 2012, delivers lunch five days a week to children in remote areas of the region using four refurbished school buses. In rural Northeast Tennessee, one in four children lives at or below the poverty level, which translates to a lot of hungry kids. Compounding the problem, many of the families the local food bank serves live in sparsely populated areas or tucked away on winding mountain roads. Throughout the nation, school districts use money from the United States Department of Agriculture (USDA) Summer Food Service Program to fund free breakfast and lunch programs for children in the summer. Other USDA sponsored summer lunch programs are hosted by Boys and Girls Clubs, libraries, churches, YMCAs and social service agencies. But the problem of reaching kids in rural areas, with no access to transportation, remains. The cost of transporting food over long distances to a widely dispersed rural population requires additional funds that many summer food service programs simply don’t have. 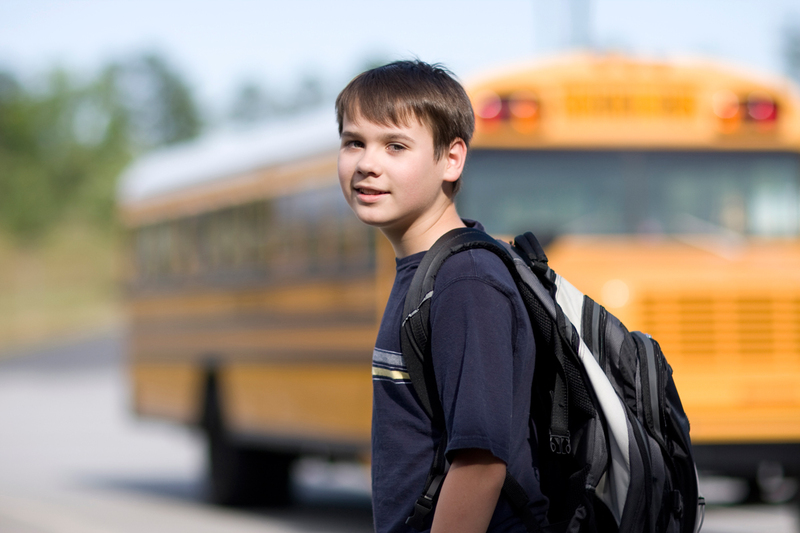 Each Lunch Express bus makes between eight to 10 stops a day and reaches in total about 100 kids. Combined with Second Harvest’s mobile food pantry and summer food service program, Davis estimates that the food bank feeds 1,000 kids a day. “We know we’re only hitting about 11-12 percent of kids in our area,” Davis said. She explains that the food bank is working to expand the Lunch Express’ route and on reaching kids in remote mountain areas. Because the Lunch Express is primarily funded through the USDA, the program must meet a set of government guidelines. For example, lunch sites must be in a school system where more than 50 percent of students receive free and reduced lunch and participants must be 18 years old or younger and must eat the entire meal as a group at the site. Nutrition guidelines dictate that each meal must contain one cup of milk, ¾ cup of fruits and vegetables, one serving of grain, and one serving of meat or meat alternative. The Second Harvest Food Bank of Northeast Tennessee also uses private funds, from donations and fundraisers, to send food boxes home for the kids’ weekend lunches. “We’ve done a ton of advocacy to make the program work better for families in rural communities, and we’ve used private funds to operate demonstration pilots to see if we can feed kids in different ways and still operate within the reimbursement amount,” Davis said. Christina Meanyhan, a mother of six, lives in the same apartment complex as Christy Lunday. She stocks up on food throughout the school year to help her get through the lean summer months. She relies on $741 a month in food assistance to feed herself and her three children. Once the summer comes, her food bill will nearly double—from $500 to $900 a month—when her three oldest children, who spend the school year at their dad’s house in Florida, return for the summer. All six of her children are eligible for the Lunch Express. “I can’t even explain to you how much money that saves me,” she said. She is currently unemployed because her car broke down, and she doesn’t have money to fix it. “I was doing fine,” she said, but no car means no job. In rural Tennessee, there is nowhere to walk to work and no public transportation. I applaud this website for bringing attention to the necessity of school lunch programs. The lunch bus is the perfect solution to help solve the transportation problem that summer feeding programs face. I am a current dietetics student, and recently I have done a great amount of research into the summer food service program. The biggest challenged faced by sites to successfully carry out this program is transportation. The lunch bus is the perfect solution for this area's transportation problem. I hope other sites that sponsor the summer feeding program look at the lunch bus as an example that they can implement. This website has some basic information about the transportation problem: https://fns-prod.azureedge.net/sites/default/files/getinvolved/4.3.13_Addressing_the_Summer_Food_Transportation_Challenge.pdf. I hope summer food service programs continue to find solutions to the summer food service program. It is so important for our future generations to live a healthy lifestyle.